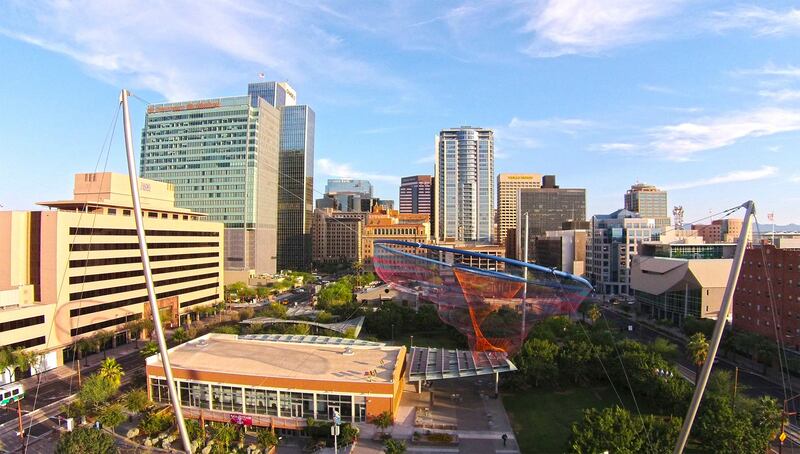 What do you think the future of Downtown Phoenix looks like? If any city can be reborn from the ashes, it’s Phoenix. This Could Be PHX is a community engagement and urban awareness group striving to tell a different story about Downtown Phoenix. For so long, Downtown was neglected and only thought of as a place to catch a sporting game. But that is no longer true. People are now coming to understand that Phoenix is a viable and exciting place to live, work, play, and own a business. Downtown Phoenix continues to rise from the ashes to be re-born as a vibrant, walkable, bikeable, diverse, and interesting city. Join us in the conversation on Facebook and explore our resources and projects here. Better yet, contact us to get involved directly! We, along with community members, are imagining the future of our city, one creative project at a time. See all projects. Our urban living blog is full of educational articles on sustainability, city planning, and current Phoenix news and events. Read the blog. Drone footage provided by Jonathan Ammon.